Shall Noise Upon was released a couple of months back, received well by critics, and yet for some reason there isn't even the slightest amount of buzz around this album or the direction Apollo Sunshine is taking their music in. It's not like this record can get lost in the shuffle-- 2008 hasn't been a stellar year for new tunes. Mainstream music press be damned, I'm here to tell you that this is one of the finest musical achievement of the year. 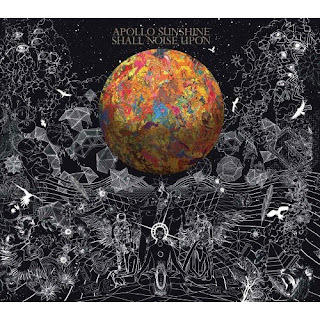 Apollo Sunshine have crafted a beautiful collection of songs that evokes the heyday of The Elephant 6 Collective but with a propensity to veer their songs into wild, uncharted sonic territory. In many ways Shall Noise Upon is controlled psychedelic chaos, but the band never lets you forget that it is first and foremost a pop record.